SoftBums Omni Shell ONLY. DOES NOT INCLUDE PODS. 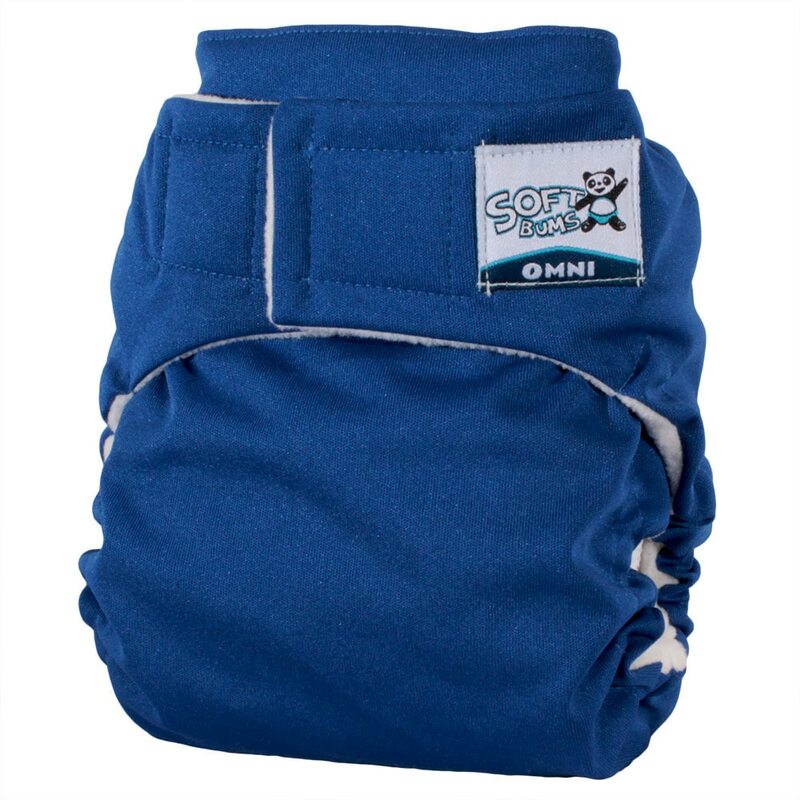 Omni shells can be used as an all in two (AI2) diaper system, a pocket diaper, or a cover with prefolds! This is the best all around system available. Truly fits new born - potty training with their slide to size adjustment! Babies come in all sizes, not just small, medium and large. Unfortunately disposables and one-size-fits-all diapers with a snap down rise just can't fit all babies. And a bad fit is the biggest culprit for leaks, blowouts, red marks, and sagging diapers. Yuck! The solution? SoftBums PATENTED Slide²Size diapers give you a Super Fit! It really changes everything! Don't settle for a bad fit anymore! The unique SoftBums leg elastic allows for infinite sizing for a Super Fit from xs to xl and absolutely everything in between. 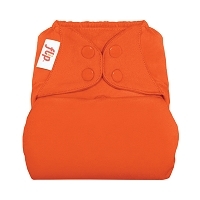 This gives your baby a soft seal at the leg, gently locking in messes and wetness. Why would I need a Slide²Size Super Fit? Snaps will be covered under warranty for up to 6 months. Broken, non-functioning snaps or snaps that have fallen off are included. This does not include snap 'runs' in the PUL, or any holes around the snaps caused by wear or stretching of the fabric. Snaps breaking or falling off are very rare, and can be avoided by taking care not to pull too hard on the end of the Pod when removing. Gently pulling nearest to the snap itself will prolong the life of both the fabric and the snap. There is a short video on our DiaperTV page. If you have any questions about snaps please contact us at info@softbums.com ! Hook & Loop will be covered under warranty for up to 6 months. This does not include fraying, shrunken, or worn Hook & Loop. These things are normally due to overheating in the washer or dryer. The best way to take care of your Hook & Loop is to hang dry your shells, instead of putting them in the dryer. PUL delamination is very rare, but is covered for 60 days (see our blog post here about how to tell if it is “true delamination”). Any leaking is usually something other than a problem with the PUL, and we are happy to help troubleshoot any leaking questions! Please email us at info@softbums.com for help! Almost all leaks are caused by an error in fit or absorbency, and often a simple correction can fix the problem permanently. Leaks are very common for first time cloth diaper users. 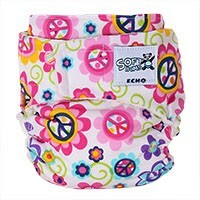 So, if you are getting leaks and you just started with cloth diapers, or just started with SoftBums cloth diapers, don’t despair! It’s usually a VERY simple fix*! We see fit issues that lead to leaks, most often with newborns because their legs are so tiny, and it can take some trial and error to get the fit right. If you are getting leaks after a bit of trial and error on your own, please don’t suffer in silence! Our experienced staff has helped hundreds of parents just like you have a happy and dry diapering experience. Please see a list of videos on our DiaperTV page for fit help. And let our experts help get your family using and loving SoftBums too!